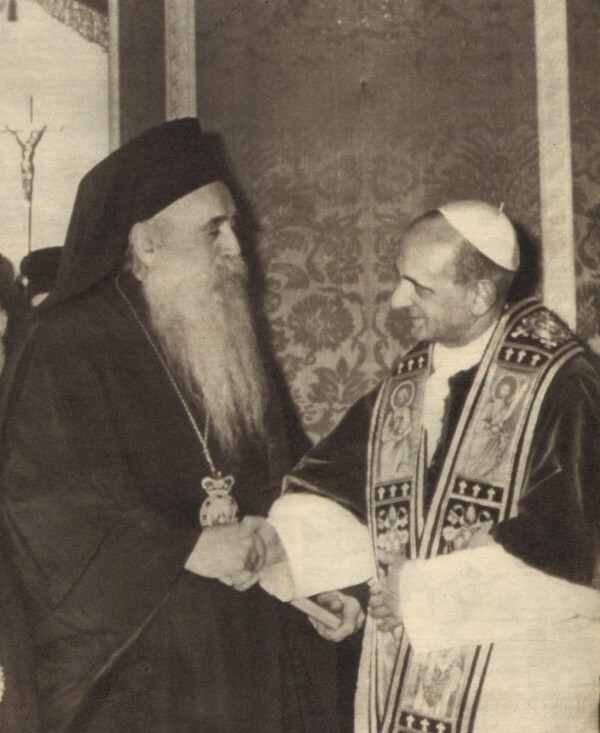 NEW YORK – Fifty years ago, on December 7, 1965, after their historic meeting the previous year (Jerusalem 1964), Patriarch Athenagoras and Pope Paul VI declared their commitment to steer the Orthodox and Roman Catholic Churches onto a path of mutual understanding, reconciliation, and love. 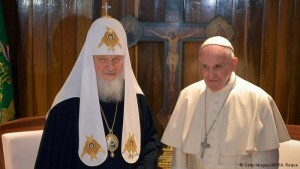 Together they agreed to “remove from memory and from the midst of the Church the sentences of excommunication” leveled against each other in 1054 and which have divided our two Churches for centuries. 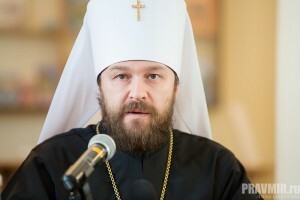 As a result, a theological dialogue between Orthodox and Roman Catholic theologians started. This dialogue continues to our days and has produced a number of significant theological documents. 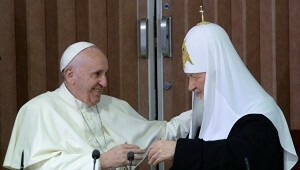 In addition, a number of other events like the meetings of Ecumenical Patriarch Bartholomew with Popes John Paul II, Benedict XVI and Francis contributed to the creation of mutual understanding and the clearance of the way to the desired union.